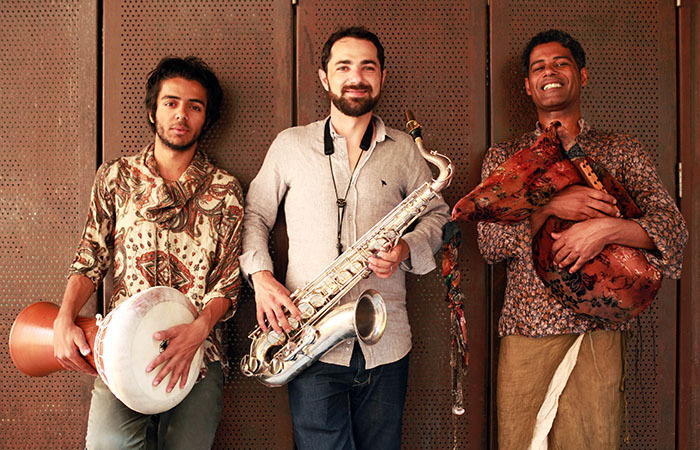 Influenced by African and Arabic music and dance, contemporary ensemble pieces blending elements of devotional songs, mystical music, and dance traditions spring forth from the south of Iran, the Persian Gulf and the Silk Route. 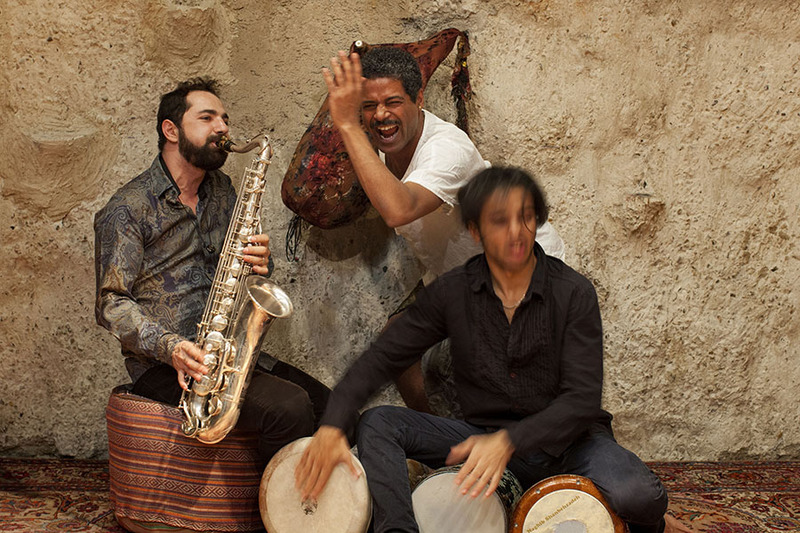 Sound: the Encounter (December 2013 Tour: NYC, Washington DC and Houston TX dates) brings together adventurous musicians from Iran and Syria who seek to reassemble diverse expressions of a shared musical heritage in contemporary forms. The result is a collection of newly-developed and arranged musical pieces inspired by the millennium-old musical legacy of the ancient Silk Route that are rooted in classical and folk traditional musical forms and re-imagined within a new artistic frame. What they have created, they simply call “music”. It’s what artists have done for hundreds of years—shaken off the mantle of their ancestors, combining their known and learned musical ways and traditions with those of friends and collaborators from different parts of the world. 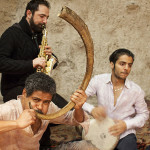 As Saeid dances and converses through a small consort of wind instruments, Basel merges oriental folk music with modern jazz lines over Naghrib’s driving Eastern rhythms to create new music rooted in a thousand-year-old tradition. 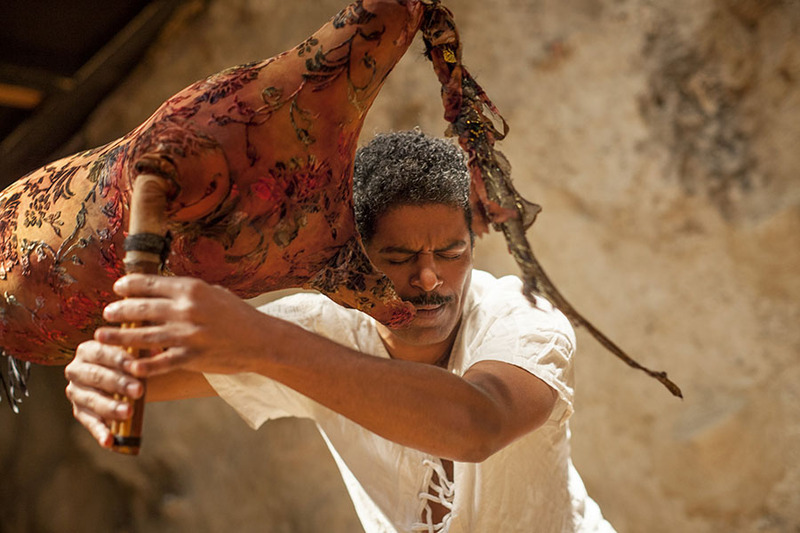 The result is a sound that immediately conjures up the ancient ways and dances of the Afro-Islamist zar and diwan (meetings or assemblies) once found throughout Assyria and North Africa and along Afro-Persian trade routes as far east as the Gulf villages of Iran. At the same time, “Sound: the Encounter” updates this sound to represent all of the modern life that has crept in as once-isolated villagers take up residence in urban areas that can be far from home. 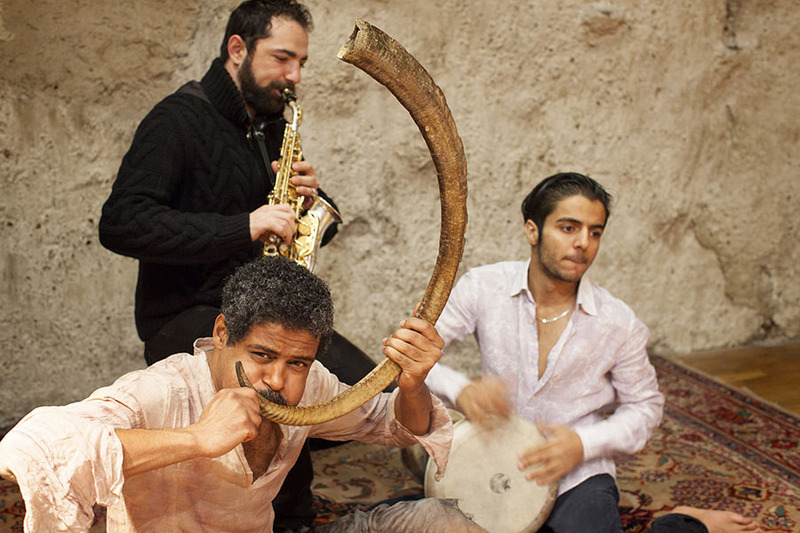 Onstage, Saeid whirls in ecstatic dance while blowing a sequence of virtuosic solo breaks on his Iranian bagpipes, Basel channels American jazz saxophonist Pharaoh Sanders’s work with Moroccan Gnawa masters, and Naghrib holds down the groove on the tombak, the traditional Iranian drum he’s been playing since the age of 11. On Sound: The Encounter’s December US Tour, they welcome the audience to experience the conversation and hear the new sound. Sound: The Encounter is a new project conceived, curated and produced by the Aga Khan Music Initiative (AKMI, http://www.akdn.org/aktc_music.asp) as part of its mandate to support talented artists who develop their musical heritage in contemporary forms and revive historical connections among artistic communities from countries and regions in which the Initiative operates. 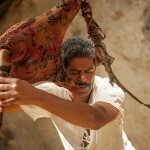 In honor of an ongoing commitment to support the artistic mission of AKMI, the New York and Houston appearances of Sound: The Encounter will be presented by the Asia Society (http://asiasociety.org).